I always enjoy Houston Ballet's "Dance Talks," but this one was particularly thrilling for me because we not only got to hear about the character of Cio-Cio San from Yuriko Kajiya, one of Houston Ballet's principal dancers who will be dancing as Cio-Cio San in the upcoming production, the panel also included Vicki Attard, who originated the role in Welch's premiere of this ballet, and Ana María Martínez, who we have seen sing the role in Houston Grand Opera's production of Puccini's opera not once, but twice. The discussion was ably led by Dr. Howard Pollack from UH Moore's School of Music. Dr. Pollack first gave some background on the ballet, which is based on the opera, which is based on David Belasco's one-act play titled Madame Butterfly: A Tragedy of Japan. 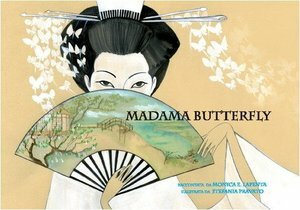 And that was based on the 1898 short story titled "Madame Butterfly" by John Luther Long, which was partially based on stories told to Long by his sister and partially on Pierre Loti's 1887 French novel Madame Chrysanthème. Got all that? There will be a quiz. The panel discussion lasted about an hour, but it seemed to fly by much more quickly than that. The artists discussed the fact that modern audiences may view Cio-Cio San as a victim, but within the context of her story, her strength is illuminated when she sacrifices herself for her child. They also spoke about the challenge of performing opposite different singers/dancers as Pinkerton, and performing with a small child or, as Ms. Martinez did at the Metropolitan Opera, with a puppet (and three puppeteers!) representing the child. My favorite moment of insight came when Ms. Kajiya charmingly stated that the dancer must first "get the steps into your body" before developing the emotional layers that go with the role; the dancers can't act realistically if they are thinking about the steps or the count, so those things must become second nature. I also enjoyed hearing about how she had to study up on Japanese attire, gestures, and movement, since the traditional attire has not been worn widely in Japan during her lifetime. I was also impressed with how articulately Ms. Attard and Ms. Martinez described the process of bringing a character to life. People sometimes mistakenly assume that ballet dancers are unthinking dolls, but in actuality, the best dancers take a deep and intellectual approach to their characters. Similarly, opera singers literally must learn to convey emotion in many different languages, since most operas follow the language of the composer. If I recall correctly, we've heard Ms. Martinez sing beautifully in French (Carmen), Italian (Madama Butterfly), and Czech (Rusalka). It's not enough to learn the words by rote; the singers have to understand and convey what they're singing at all times. All three of these strong, passionate, talented women were kind enough to sign my copy of the quadrilingual picture book shown at the top of this post, a book that is now a very treasured possession for me. Houston Ballet's production of Madame Butterfly runs from September 22 to October 2, 2016. Tickets are available here. 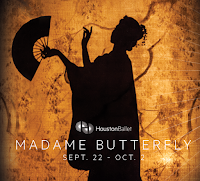 In addition, Ms. Martinez is in town to perform as Marguerite in Houston Grand Opera's production of Gounod's Faust, which runs from October 28 to November 11, 2016 (tickets here). My short story "diet" in August was a little different than usual, as I focused a lot of my reading on a single-author collection that I'll be reviewing separately in a few days. Of the stories I read in August that were not part of that collection, one in particular jumped out at me, and I felt I should give it its own post rather than tack it on to my upcoming review. 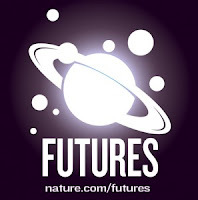 Nature is one of the three venues that I read fairly regularly for flash fiction, the other two being Daily Science Fiction and Every Day Fiction. In this short piece, a soldier fitted with bio-armor to defend the Earth against an alien threat is left behind in his homeland of Nigeria when his superiors deem him dangerous to what's left of the human race. Like the author of the story (according to his story commentary here), I've long been drawn to stories about power armor, starting with Joe Haldeman's The Forever War, John Steakley's Armor, and of course Robert Heinlein's Starship Troopers. I'm impressed that Szal has managed to deliver such a complex mood, one that feels fresh to me, in so few words. At the same time, this story shares with its predecessors the message that war, with or without power armor, cuts off a whole generation of soldiers from the rest of humanity. I also want to mention that Nature gives illustrations to most of its "Futures" stories; all of the ones I've seen have been by an artist going by the single name "Jacey." The illustrations are often simple but effective. Click through to the story to see this one.